Hello and welcome! 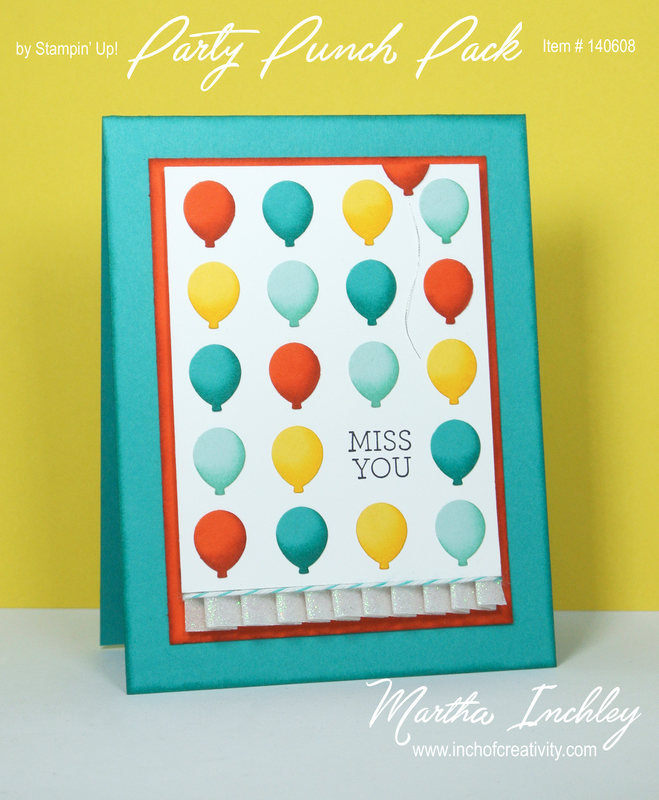 Today I'm sharing a card that I created to participate in the Global Design Project: Theme Challenge. The theme is Balloons, and since I have a lot of new product with balloons in it, I thought I would play along! This is Global Design Project # 23. 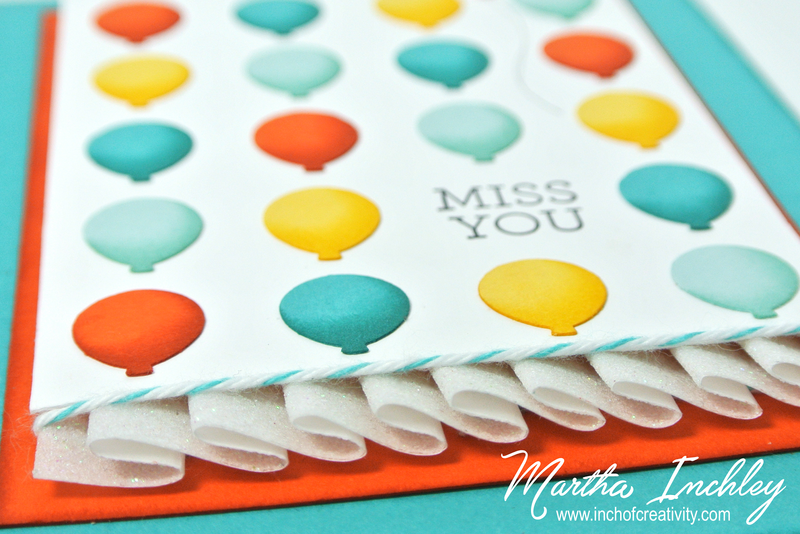 My card today features the new Party Punch Pack... well actually, just one of the punches from the pack... the balloon! 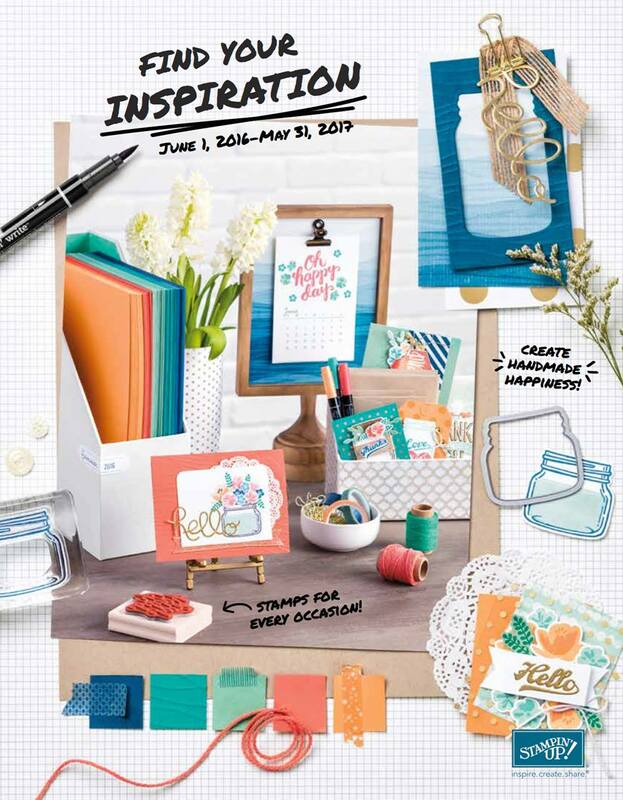 My colour combo is Whisper White, Bermuda Bay, Tangelo Twist, Daffodil Delight, and Pool Party. I punched out all the balloons and then sponge daubed them with their coordinating colour of ink, to make them look 3 dimensional. 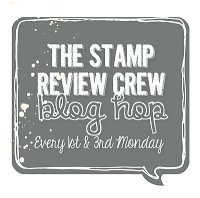 For my greeting I used the stamp set: Crazy About You, and I stamped it in basic black ink. To finish off my card, I accessorized it with Silver Metallic Thread (for the balloon), Bermuda Bay Baker's Twine, and the new Sale-A-Bration Glitter Washi Tape. Click for a clear picture. Washi Tape? Yep! I used it for the pleat at the bottom of my card. What do you think? Does it work? Do you want to know how I did it? Well, you're in luck! Scroll down for the tutorial. 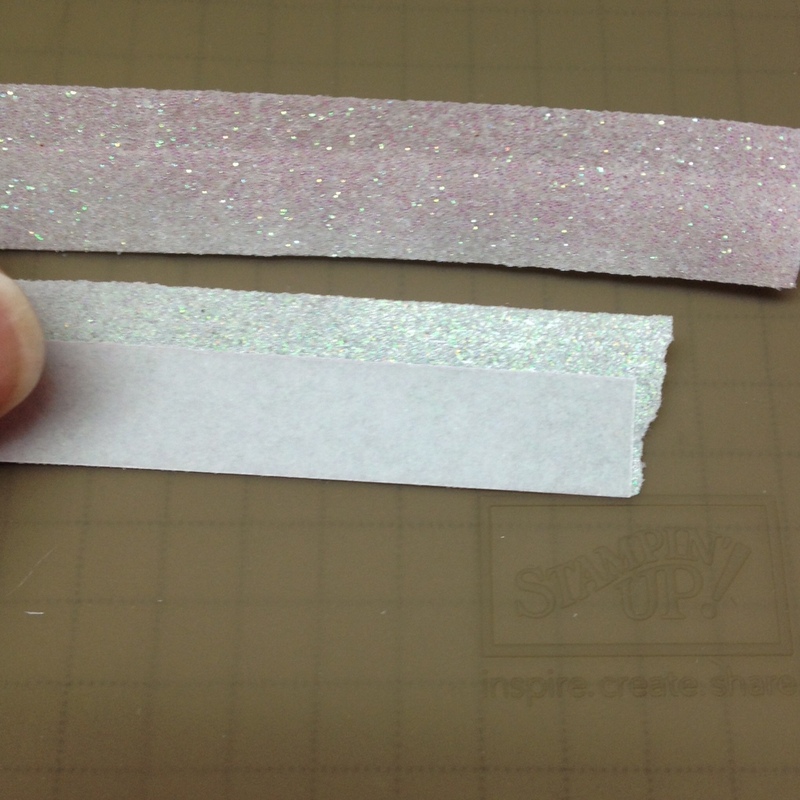 Start out by cutting a strip of Vellum Cardstock 3/8" x 11". 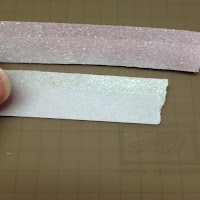 Then place it on the sticky side of the glitter tape, along the edge. 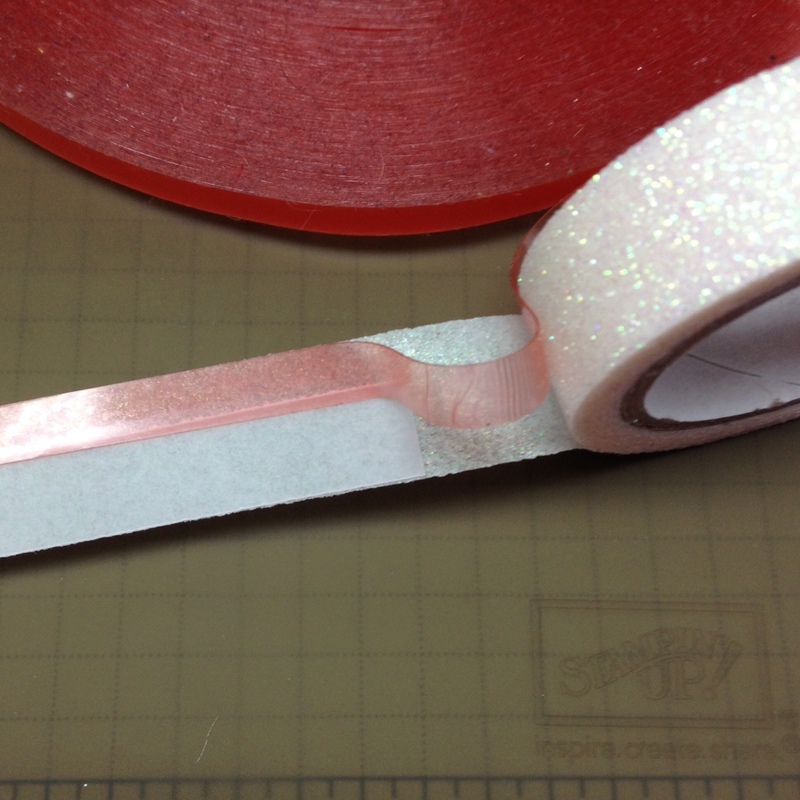 On the other edge, run a strip of Sticky Strip, approximately the same length. Note: I recommend leaving your washi tape attach to its roll. That way, once you start... um.. pleating! ?, and you find that you need more length, you can just add more vellum and sticky strip and continue on with no interruptions. 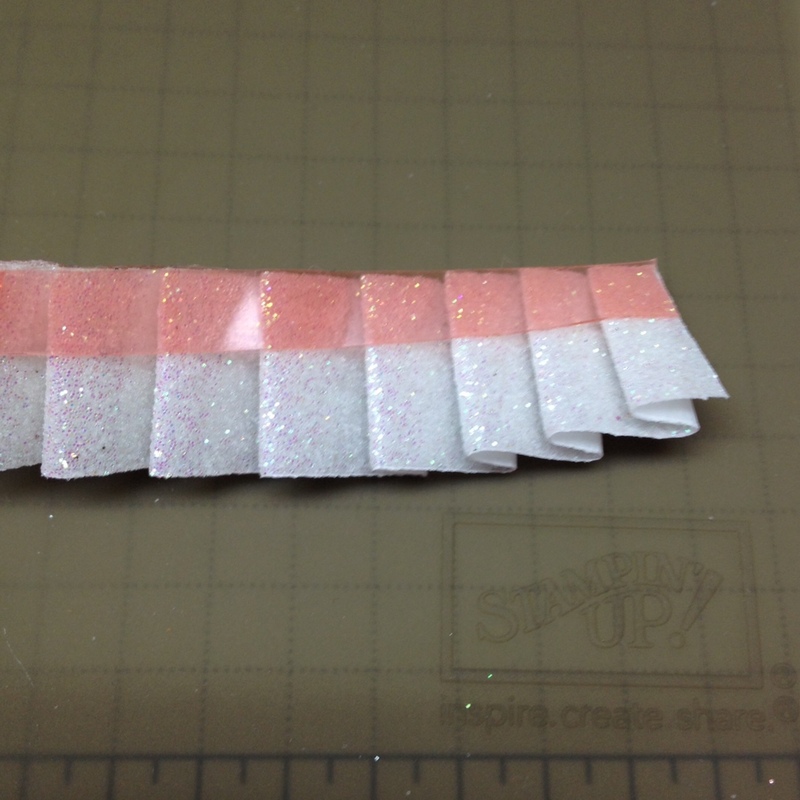 Remove the sticky strip backing and begin to fold your washi tape back and forth, creating the pleated look. *I really have no idea how else to describe it beyond that... so hopefully the picture helps. LOL. 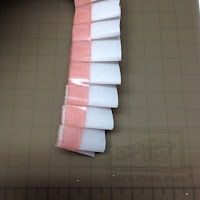 As I created my pleat, I would fold and pinch the top part with the sticky strip (helping it stick), while trying not to fold the bottom, vellum part, in hopes to keep the bottom curvy... Does that make sense??? 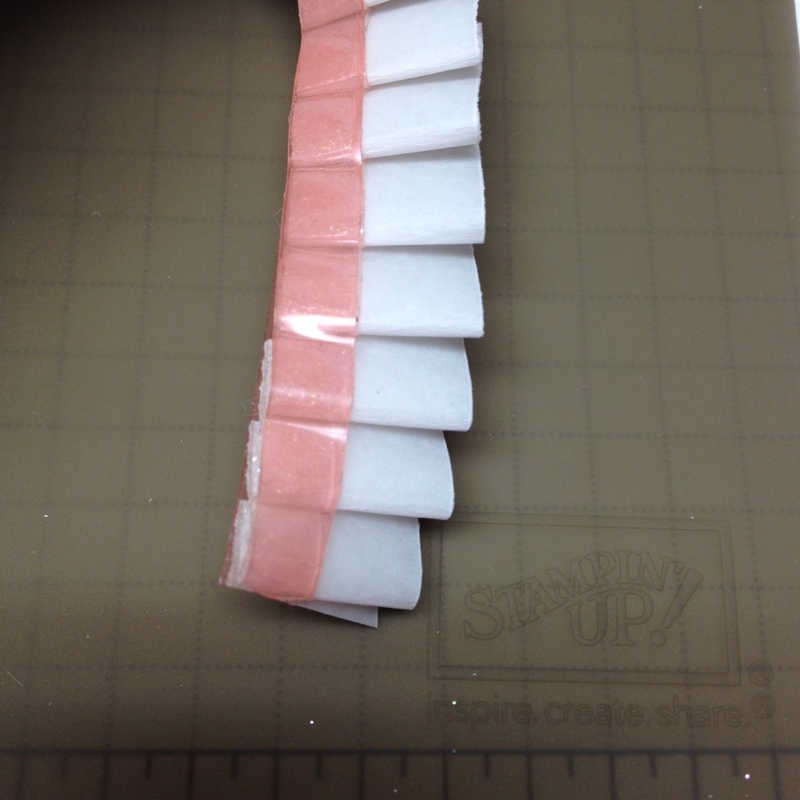 To keep everything secure, stick a strip of sticky strip on the back side and front side of your pleat. You can then remove the backings and stick the pleated washi to your project. 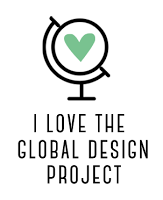 Well, I hope you enjoyed my project today, make sure to check out the Global Design Project to see more balloon creations, currently there are 101 entries!!! Happy Creating! Thank you Cheryl Miller! and Pleated!!! that's the word I was looking for! LOL, now to go edit my post! So sweet! 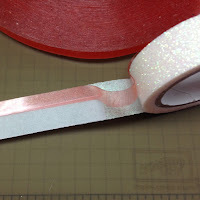 Not only are the colors on the face of your card gorgeous, but the washi tape technique is wonderful! Love it! 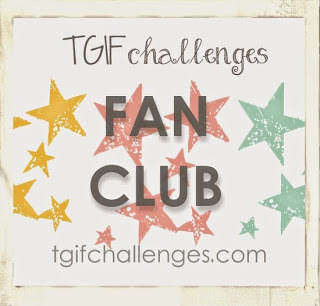 I'm so glad you played along with this week's Balloons Theme Challenge at the Global Design Project - thanks! Martha, I love the way you shaded each balloon to give them dimension. This design works because of your attention to all the details. I love it! 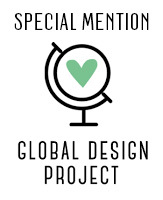 Thanks for playing along this week at Global Design Project. I love how this card pops with color. The shading is perfect and the "missing balloon" is so clever!